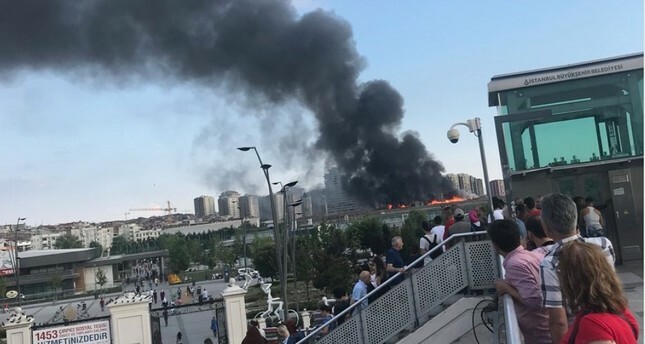 A huge blaze engulfed a textile factory near Istanbul's historical Veliefendi Race Course late Thursday. The reason for the fire remains unknown. The billowing smoke was also recorded on video by social media users. The factory is abandoned and there are no people inside, sources said. Fire squads have been dispatched to the scene.